We would like to thank Hobble Creek Golf Course for joining the fight to eradicate cancer! 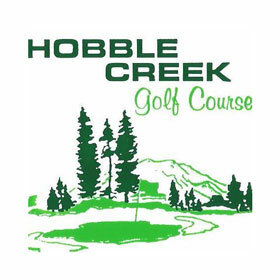 Hobble Creek Golf Course is a regulation, 18-hole championship golf course with a pro-shop, snack bar, driving range, putting greens and chipping green. Hobble Creek Golf Course is nestled in beautiful Hobble Creek Canyon and provides golf enthusiasts an extraordinary opportunity to refine their sport, feed their passion for golf and enjoy the great outdoors. Hobble Creek has served several generations of golfers and has developed and welcomed some great players along the way. The course is very popular, in large measure because of the natural beauty which surrounds it, and because of the great care, it receives from the professional staff who work to keep it beautiful throughout the season. Enjoy a game of golf in one of the most beautiful golf courses in Utah.